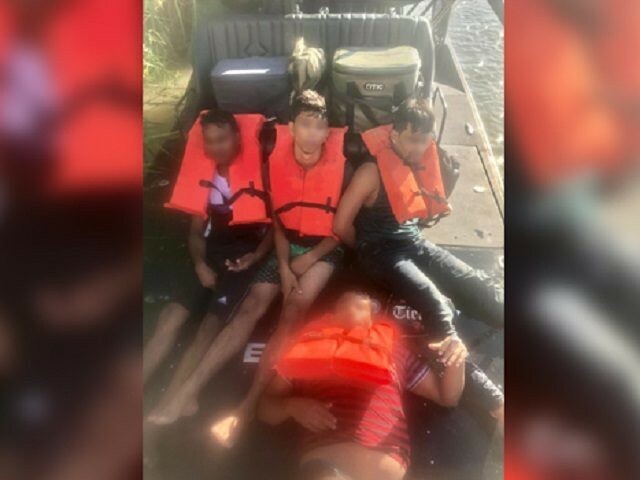 Border Patrol agents assigned to the Laredo Sector rescued a group of Bangladeshi nationals after they nearly drowned in the Rio Grande. The sector led the nation in Fiscal Year 2018 for the apprehension of Bangladeshi migrants. Marine agents working river patrol observed a group of migrants in the Rio Grande River on the evening of October 29. The agents observed the four migrants were having difficulty staying afloat in the current, according to Laredo Sector Border Patrol officials. The agents carefully approached the group and noticed two of the men disappear under the surface. Officials said the agents quickly responded and grabbed the two men from the water and pulled them onto the boat. Agents then pulled the two remaining migrants into the boat and transported all four to the shoreline where ground-based agents waited. Medically trained Border Patrol agents evaluated the four migrants and determined they did not require any additional assistance. During the immigration interview, agents learned the four men are Bangladeshi nationals who were being smuggled into the U.S. The agents transported the men to the Laredo South Station for processing. Since the beginning of Fiscal Year 2019, Laredo Sector apprehended 75 Bangladeshi nationals, Laredo Sector officials told Breitbart News in response to an inquiry. This is more than 10 percent of the total arrested during FY2018. During FY2018, which ended on September 30, Laredo Sector agents apprehended 668 Bangladeshi migrants — an increase of nearly 270 percent over the previous year’s total. The sector led the nation in the apprehension of these migrants who paid up to $27,000 each to be moved into the U.S. by cartel-connected human smugglers. Hundreds of miles of open river border in South and Central Texas make the area a prime human smuggling corridor for Mexican cartels who charge the Bangladeshi nationals for passage into the U.S.
Because of the unsecured border in this and the Del Rio Sector, large numbers of what Border Patrol officials refer to as “Special Interest Aliens” made their way into this part of Texas. Special Interest Aliens include illegal immigrants from countries with connections to terrorism. Bob Price serves as associate editor and senior political news contributor for Breitbart Border/Cartel Chronicles. He is a founding member of the Breitbart Texas team. Follow him on Twitter @BobPriceBBTX, and Facebook.